For the past 20 years, Northlake Academy of Music, Home of Tots N Tunes LLC, has offered the finest in music education to the Metro New Orleans area. 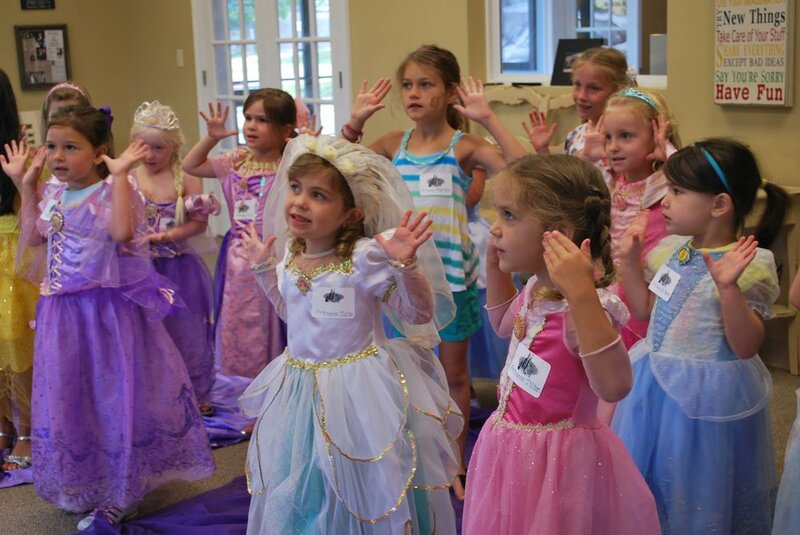 We offer a variety of lessons year round for all ages, ranging from our Tunes Together Mommy & Me class, Tots N Tunes Preschool Music Program, Semi-Private Piano Lessons, Group Beginner Piano Lessons for 3-4 years old, Private Lessons for all ages in piano, violin, guitar, drums, and voice, Pre-choir, Intermediate choir, and Advanced choir for ages four through high school. We also offer Adult Group Violin Class for those looking for further their skills later in life. All students, regardless of program, have the opportunity to participate in a yearly recital. Leslie Domingues’ passion has always been working with children and creating new programs for music development. In 1998, she was inspired to create a Music Appreciation Program, Tots-N-Tunes, LLC, inside Northshore Werlein’s Music store. Leslie holds dual Bachelor’s degrees in Mild, Moderate Special Education and Regular Education from the University of New Orleans. Throughout the past 20 years Northlake Academy of Music has been praised for the innovative education it provides its students. It was awarded Best Music Academy for five consecutive years (2011, 2012, 2013, 2014, & 2015) by Sophisticated Women Magazine. In 2009 Leslie was named the First Professional Business Woman of the Year for St. Tammany Parish and in 2013 she received a reward for Special Education Awareness through Active Awards Educational as a finalist. Most recently in 2018 The Edge Magazine, voted Northlake Academy of Music the Best Music School in St. Tammany, by public vote. Today, she has developed several satellite locations and thousands of children/adults have attended her programs. Leslie presently teaches the Tunes Together, Tots-N-Tunes, Music and Montessori classes, and runs the administrative office at the studio and manages all of her satellite locations. Northlake Academy voted Northshore's Best Music School 2011, 2012, 2013, 2014 and 2015 by Sophisticated Woman.